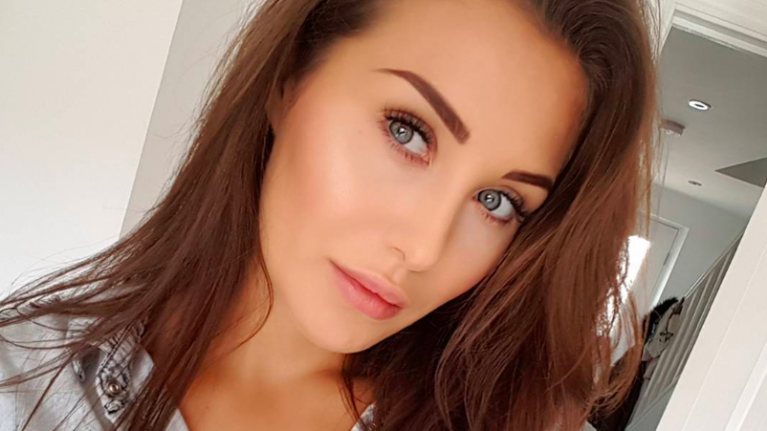 Celebrity Big Bother's Chloe Goodman has opened up about tragically suffering a miscarriage earlier this year. The 24-year-old, who bravely opened up about her heartbreak during Baby Loss Awareness Week, said she and now-ex boyfriend Jordan Clarke had started trying for a baby after dating on and off for four years. The pair were thrilled when they first found out they were expecting a child together. She went on to organise everything she could for the pregnancy; signing up for antenatal classes, booking to see her midwife and buying baby books. But when Chloe went in for her 12 week scan, she was left devastated by the news she had lost her baby. Doctors told her she had a "missed miscarriage", meaning her baby had passed away weeks earlier but her body had not recognised it, and she continued to carry. She recalled how she had been given a pill to start a miscarriage, and how she was told it would like having a period. But as she began to drive to her cosmetic clinic in Leeds, she began to realise it was much worse. "I was on the motorway for 20 minutes when the contractions started. "I thought I was going to pass out at the wheel, so I pulled over on the hard shoulder. "But I was nowhere near a service station, so I walked up the embankment into a forest area and took off all my clothes from my bottom down. "I just sat there, covered in twigs and absolute crap, having these contractions on the side of the motorway. It was so heavy. It was awful." The Ex on the Beach contestant ended up sending her location to her boyfriend Jordan on her phone, and he rushed to her side. "He carried me into the car. I couldn’t walk. My legs were like jelly. I was so upset because I thought I’d lost my baby up there on the motorway." Chloe's full interview is in this week's issue of Reveal, which is out now.